Worship ministry UPPERROOM independently releases its third recording, Moments, May 18 with global distribution for the first time through The Fuel Music. This new five-song digital album is collection of songs curated out of the ministry’s Prayer Room that have since went on to inspire not only the members of UPPERROOM, the church in Dallas’ creative Design District that started in 2010, but millions more around the globe. Called to gather the Lord’s people daily for corporate worship, praise, thanksgiving, adoration and intercession through song and scripture, UPPERROOM opened its doors without much fanfare. Today, people around the globe are singing their songs and around 100 vocalists, songwriters and musicians contribute their talents to leading people in worship three times a day, six days a week. Among those gifted creatives are Meredith Mauldin, who leads UPPERROOM’s songwriting efforts, and Elyssa Smith, who leads worship at the church’s second location, UPPERROOM Denver. 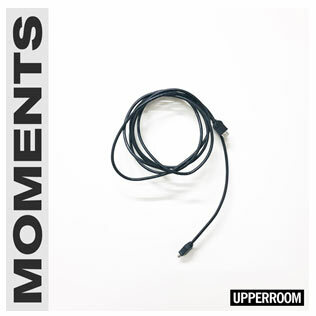 A broader glimpse of UPPERROOM’s heartbeat can be heard on the collective’s aptly titled Moments, a collection of live ‘moments’ recorded during spontaneous worship in the Prayer Room. The songs showcase instances of authenticity and surrender and are a poignant snapshot of what’s been taking place behind closed doors in Dallas for some time. It’s just that, now, the world is taking notice.